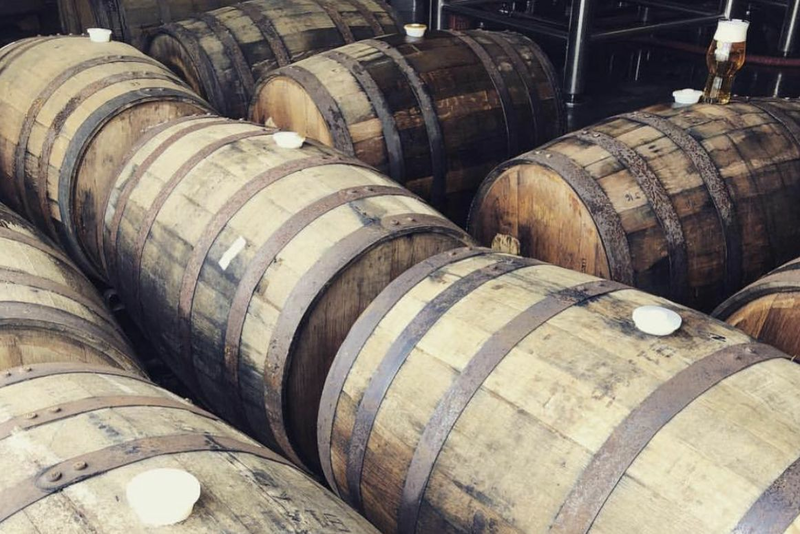 After months of planning and construction, 8th Wonder Brewery opened its tap room to the public for the first time last night. 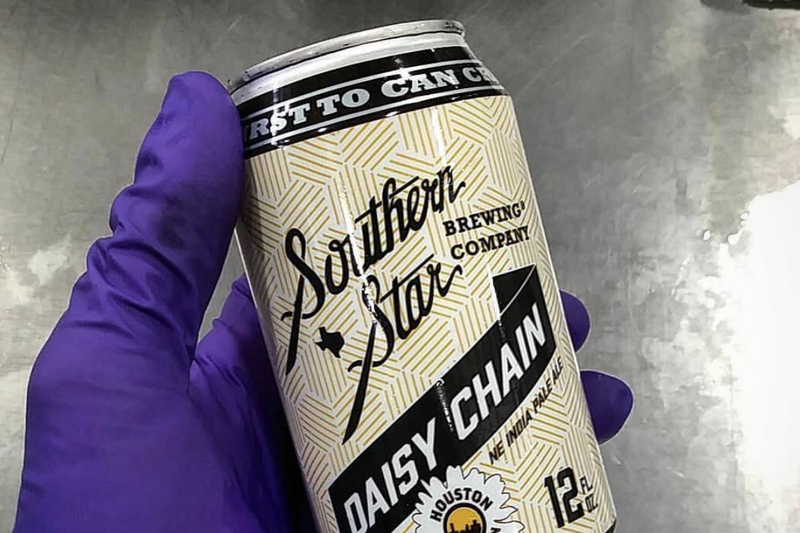 Despite the dropping temperatures, craft beer fans bundled up and hunkered down in old, yellow Astrodome seats or at picnic tables scattered across the beer hall. Directly adjacent to the brewery itself, the tap room features a wall of 8th Wonder's beers on draft as well as a view into the young brewery's main production area, with only a yellow chain separating the two spaces. 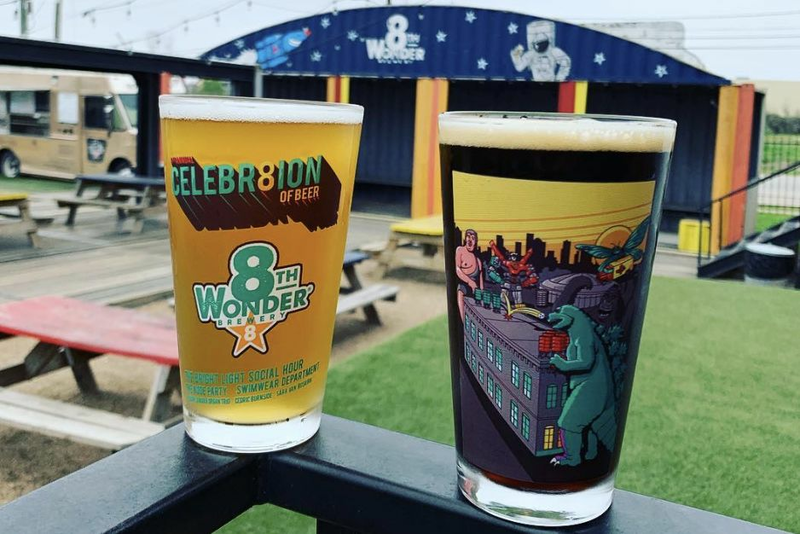 For its grand opening, 8th Wonder tapped a keg of bourbon barrel-aged Alternate Universe at 8 p.m., though the brewery's full line-up was available all night long—including Houstonia favorite Dome Faux'm, a craft beer homage to the lager that was once hawked up and down the concrete steps of the Astrodome. Beers at the tap room go for $4 for a single beer in an 8-ounce plastic cup, but if you want that snazzy pint glass you see above, it's $15—which also gets you three pints of beer. $10 will also get you three beers, either served in those small plastic cups or in your own pint glass if you remembered to bring it from home. Outside, the Eatsie Boys food truck served pork snuggies, lamburghinis, and french fries to people who'd decided to make a meal out of their visit to the tap room. 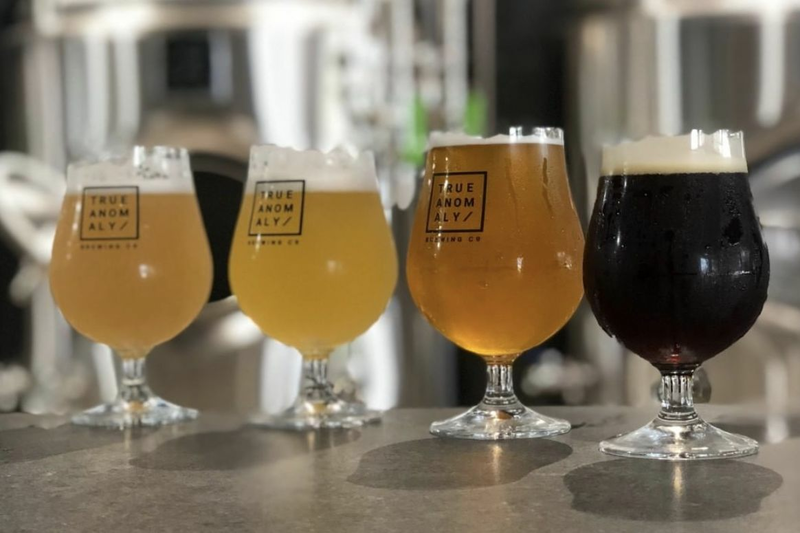 The food truck plans to park outside each time the tap room is open for business, which—as of right now—is four days a week: Thursday from 5 to 10 pm; Friday from 5pm to midnight; Saturday from noon to midnight; and Sunday from noon to 10pm. 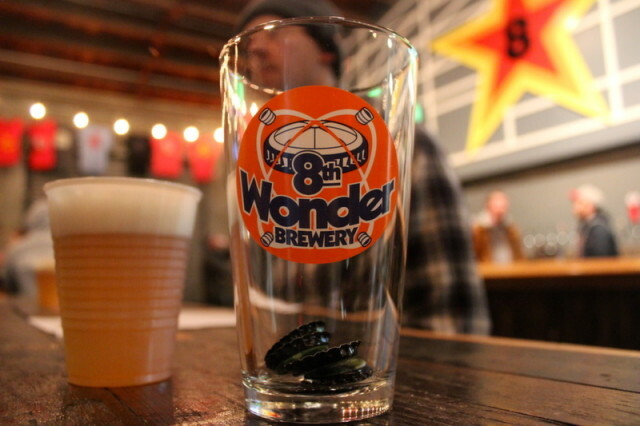 To see more of 8th Wonder's nostalgia-filled tap room, check out our slideshow.